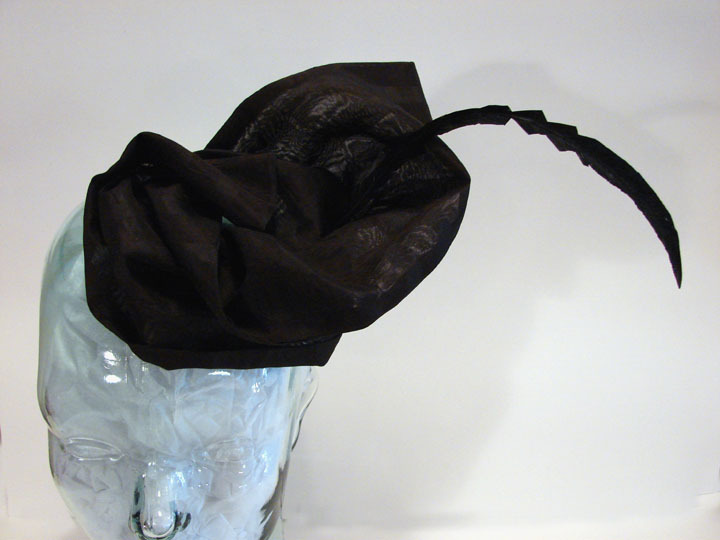 I will and have often said I won’t make an all black hat but in the case of using this wonderful black silk organdy I made an exception. The soft architectural nature of this fabric lets most wonderful things happen. Posted in In The Shop and tagged Accessories, Barrie, black hat, Cocktail Hats, Fascinator, Fascinators, fashion, Handmade, Hat, hat shop, Hats, Lakeshore Mews, Le Petit Chapeau, Meaghan Armstrong, Millinery, silk orgadny, Women's Accessories. Bookmark the permalink.